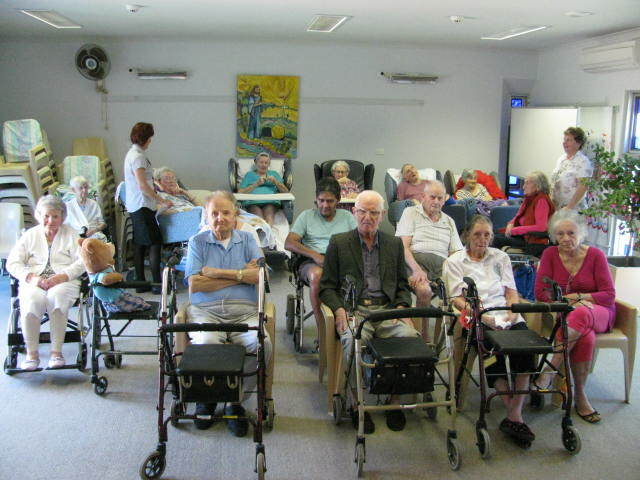 We saw a need to provide care for a couple of our aging members. 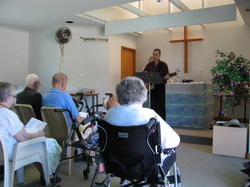 Pastor Rob suggested that we hold a little service at the aged care facility and invite anyone who wanted to come. -I thought we might get half a dozen people along. we were overwhelmed! 20 people came to the first one and it has had strong support ever since. Since that time, we have developed a relationship with other Christian Churches in Rockhampton and the service from March 2019 has an ecumenical approach, supported by two pastors from differing denominations each month. The basis of our ministry, Christ and the Gospel, remains unchanged, just more hands on deck! On the Second Thursday of the month, 10am, we meet in the Chapel at NRAC on Norman Rd.